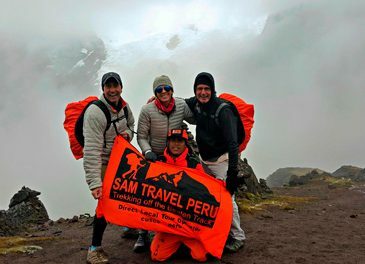 Unique to SAM Travel trekking route to remote isolated areas. 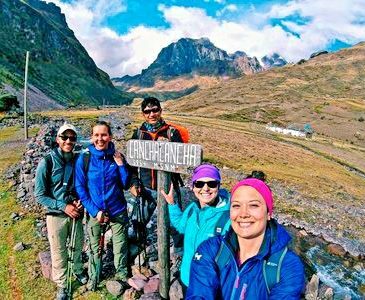 Picturesque trail with views of majestic glaciers, blue glacial lakes, and waterfalls. Enjoy landscapes of Herds of Alpacas, Llamas, Vicunas and other native animals. Meet the local indigenous people and have the privilege of interacting with them. At each or our campsite you will have clean bathrooms and showers to use. News Update: We have built our own TOILETS for women and men, with showers included, at all of our private campsites!! Note: Please be sure to check out on our website Why SAM Travel and under FAQS our equipment, food, guides etc. All of our treks average from 4 to 6 person with a maximum of 8 persons!